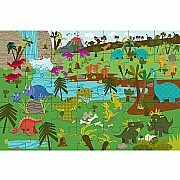 Dinosaurs come to life in this 35 piece giant floor puzzle made of thick recycled materials and printed with eco-friendly inks. 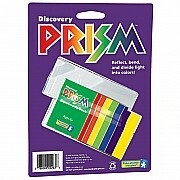 Discovery Prism High-quality, 4-inch optical plastic prism divides white light into a colorful spectrum. A beautiful and imaginative storytelling game of creative guesswork, with absolutely enchanting illustrations. 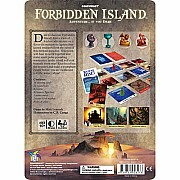 From Asmodee for ages 8 yrs-adult. 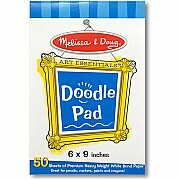 Large, patented sponge tip for mess free color blending! 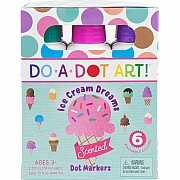 For ages 3-7 yrs, from Do-A-Dot Art. 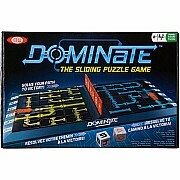 Players compete to connect a path to the finish point in this brain-bending sliding puzzle game! From Alex Brands, for ages 8 yrs-adult. 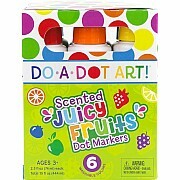 Our exceptional arts and crafts materials offer countless opportunities for creativity at great prices! Ding Dong! Fun is at the door of this "sound"ly-built wooden doorbell house. Four electronic doorbell sounds, four unique locks with matching keys, and four pose-able play people are included with this charming cottage! 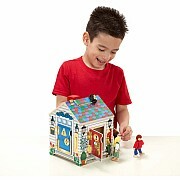 The keys are attached to the house, so they won't get lost, and the sturdy handle allows this exciting house party to go wherever children go! 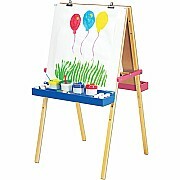 Double-sided, adjustable-height easel features dry-erase and chalk boards, locking paper roll holder, child-safe paper cutter and four easy-grip clips! Make four robots with four modes of movement! 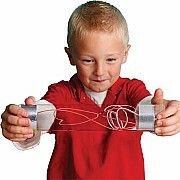 For ages 8 yrs-teen, from Elenco Electronics. Do your friends get a "charge" out of you? 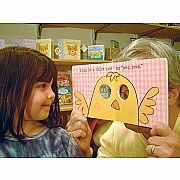 Parents become the animal in this peek-a-boo mask book. 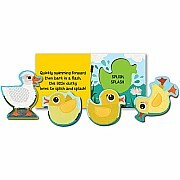 Meet all of the animals on the farm, and learn the sounds they make. 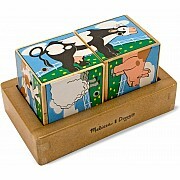 Animals "sound off" when the two wooden cubes are properly placed in the wooden tray! Find the halves that match and listen to six different, realistic farm animal sounds. 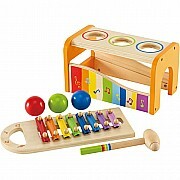 Develops visual perception and fine motor skills. 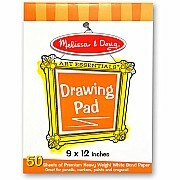 Create fabulous designs on the go with the Fashion Plates Travel design set! 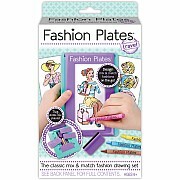 This portable Fashion Plates set is the perfect take-along size and features mix and match travel-themed Fashion Plates, crayons, paper, and a built-in storage compartment. 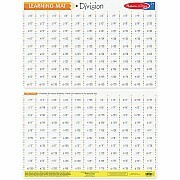 However you get there, now you can be creative anywhere! In a cooperative game no one feels left out and everyone has fun! 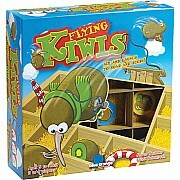 Load your catapult, aim, and launch your kiwi bird into the fruit crate! 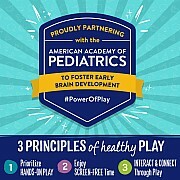 From Blue Orange Games, for ages 6-12 yrs. 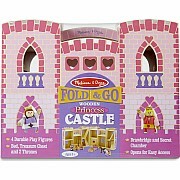 Here is a charming take-along castle perfect for a little princess. A beautifully detailed exterior opens easily to reveal a royal palace furnished with 6 pieces of regal furniture, including a vanity. The prince and princess each have a horse and are sure to live happily ever after! 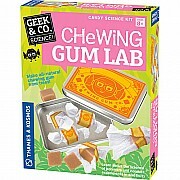 Make natural chewing gum from trees! Sweeten, flavor, wrap and package it up! 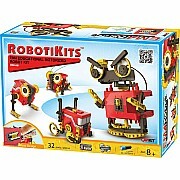 For ages 8-12 yrs, from Thames & Kosmos. 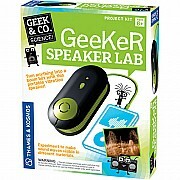 Turn practically any surface into a larger speaker with this awesome device that makes sound waves visible! 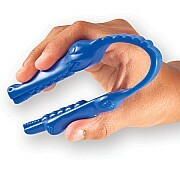 From Thames & Kosmos, for ages 8 yrs-teen. 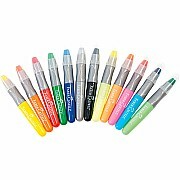 Bright washable Gel Crayons in twelve colors (some neon) will pop on paper and glass! 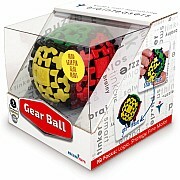 From Faber-Castell, for ages 3-10 yrs. 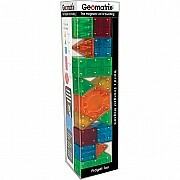 Strong magnets in geometric shapes provide endless building possibilities! 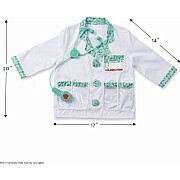 From California Creations, for ages 4-12 yrs.